Sump pumps are electrical pumps that are self-activating that help protect your home from moisture intrusion. They are usually installed below basement of crawlspace floor to remove rising groudwater and surface runoff before it has the chance to seep into the home. Accumulated water can cause interior damages and also encourages the growth of mold, mildew and fungus. The sump pump should always be maintained to ensure all components are working reliably. Ideally, your sump pump should be inspected at least once a year. If your pump runs continuously or repeatedly as a result of a high water table or excess drainage, it may require additional examinations throughout the year. Where are Sump Pumps Located Usually? 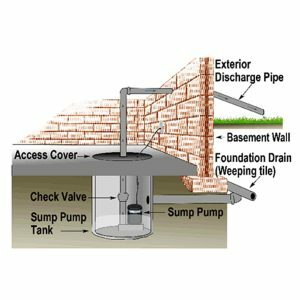 A sump pump is usually installed in the lowest part of the basement or crawlspace. It’s primary function is to help keep the area under the property dry and prevent flooding. A sump pump is install inside a specially designed sump pit. Excess water will flow into this sump pump and it’s main job to to pump the water out of the pit and away from the foundation to keep the basement dry. Sump pumps are powered by electricity and use a regular household current, so they don’t require any specialized wiring beyond a typically outlet. Since the sump pump is always located in or near water, it’s is a good idea to have a GFCI, ground fault circuit interrupter installed on the outlet to prevent accidental electrocution. 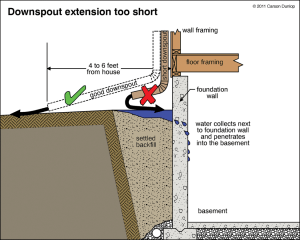 In damp areas, GFCI ­breakers may trip, effectively shutting off the sump pump. Check in on your sump pump periodically so you can reset the GFCI if necessary. Remove the plastic cover, it may be screwed down and you will need to remove the screws to get access to the pump and components. Ensure the (pump) mechanism is standing upright. While operating vibrations may cause it to fall over or flip onto it’s side. In this position the float arm will jam up so it can’t activate the pump to drain the water out. A simple test is to periodically pour a bucket of water into the pit to make sure the pump starts automatically and the water drains quickly once the pump is on. If the pump doesn’t start, have it serviced. Physically pull up the submersible pump from the pit and clean the grate on the bottom. The sucking action of the pump can pull small stones into the grate, blocking the inlet or damaging the pump over time. Important: Do not run the sump pump if there is not water above the top of the sump pump!